Children are more likely to continue habits if they start learning them at a young age. Therefore, teaching your kids healthy oral hygiene habits such as brushing and flossing will only set them up for a lifetime of good habits. When that first tooth comes through, it’s crucial to start caring for it right away as decay can occur in children as young as infancy. Education on caring for baby teeth is important. 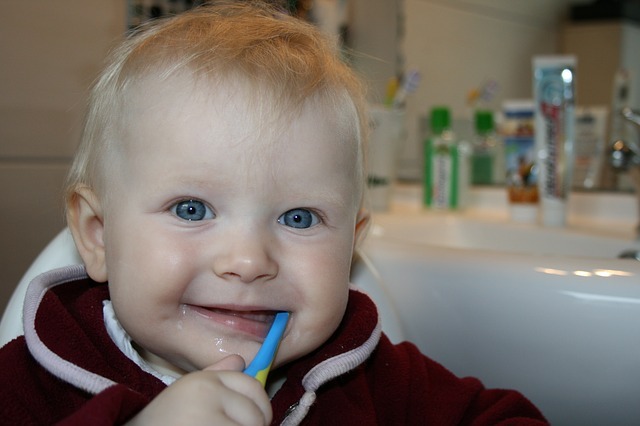 We’ve found a website that goes into great detail about ages of eruption, brushing, teething and much more. We follow the American Academy of Pediatric Dentistry’s guidelines and they recommend establishing a dental home for your child by age one. This gives the child an opportunity to learn excellent oral hygiene habits and give you an opportunity to ask questions. As always, if you have any questions or concerns about your child’s oral health give us a call. We are always here to help!